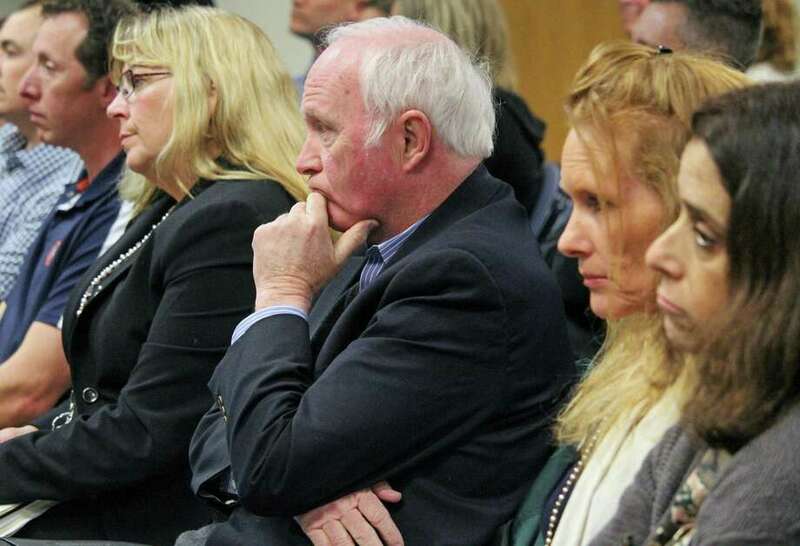 FAIRFIELD — The Board of Finance made small changes to the town’s budget, and no changes at all to the Board of Education’s $173.9 million spending plan Tuesday night. The total budget, including the town side, approved by the finance board is $305 million, which requires a 26.43 mill rate, a 2.36 percent tax increase. But some members took the opportunity to warn the school board that things could be different next year. Chris DeWitt noted that the budget first brought to the Board of Education by the superintendent proposes over $400,000 in expense reductions. Those reductions, he said, had the support of principals and headmasters, but the school board did not make those reductions. “That was curious to me,” DeWitt said, adding that the good news was the town side of the budget reflected just a 1.3 percent increase. “But the 2019 town budget was also infused with prior year savings” he said, something that may not be replicated for next year . Despite his concerns, DeWitt said he would support the school budget. “This statement comes with a warning for next year,” he said, because salary increases for teachers will cause future burdens, as will any new programs included in the budget. The district’s administrators, DeWitt said, should keep looking for expense reductions, and the Board of Education should support those reductions. James Walsh said he and other board members want to have a first class education system, and he would support the shool bduget, even though he was not “thoroughly” happy. But John Mitola said the education budget increase is around the rate of inflation, and comparable — and in some cases less — to surrounding towns. Sheila Marmion said the school budget is a lean and responsible budget and most importantly makes some investments in education, particularly special education, and makes structural changes that save money and meet student needs. With everyone talking about the need to increase the grand list, Marmion said, they need to remember that investments in the school system will help the town. “If other towns are investing in education programs at a higher or smarter rate, and we are left behind, that is going to impact us financially,” Marmion said.